Work closely with the Training and Community Manager in planning, directing and implementing educational community programs in line with RFC’s strategy, timeline and budget. Network and build relations with NGOs, international organizations and donors for the sustainability of the educational projects. Raise funds for the educational projects through proposals writing, bids, and community’s project opportunities. Oversee and track implementation and development of the community projects. Monitor and evaluate all projects. Develop and implement mapping activities as required. Design operational requirements of the program. Monitor and maintain the film and multimedia production programs and activities in the community. Report to the Training and Community Manager. At least two years-experience in community projects and field-based programmes. Experience in delivering training, and good presentation skills. Flexible and willing to work evenings, as well as to travel in the country when needed. Good knowledge of locations and local communities. Please send your application to the following email: recruitment@film.jo no later than 31 January 2015, and indicate clearly in the subject of your email the title of the position you are applying for. Under the supervision of the Communication and Culture Manager, AV Support Assistant shall operate and maintain audio-visual equipment during RFC film screenings and other activities. Responsible for all aspects of operating AV equipment for film screenings, as well as other RFC activities when required. Responsible for maintenance of equipment to include but not limited to microphones, sound systems, video screens, projectors, video monitors, recording equipment, connecting wires and cables, sound and mixing boards, and related electronic equipment for events. Adhere to procedures and practices instructed by supervisor in terms of operating equipment. Update equipment inventory and get offers while insuring that inventory is regularly checked. Minimum 3 years experience in carrying out similar duties. Very good knowledge of various AV equipment. Have the skills of maintaining, receiving, returning and storing equipment. Fair technical experience in maintaining equipment and handling computerized and manual inventory system. Very good communication skills and presentable. Willingness to travel outside Amman. Valid Jordanian driving license is a must. Degree in technical field or equivalent education is a plus. Able to operate 35 mm machine and/or DCP projectors is a plus. 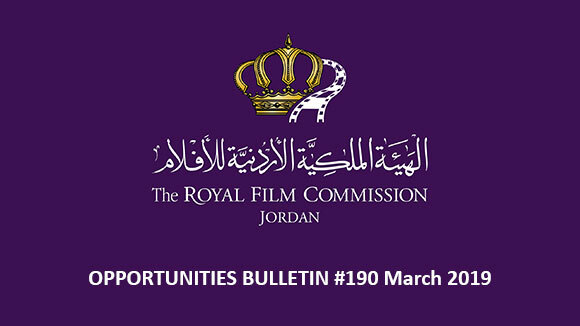 Please send your application to the following email: recruitment@film.jo no later than 28 February 2015, and indicate clearly in the subject of your email the title of the position you are applying for. 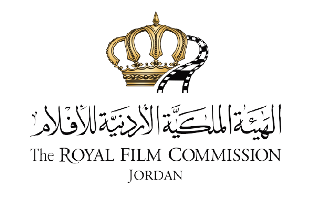 Following the tremendous success of the previous Jordan Production Directories, the Royal Film Commission - Jordan is glad to announce the launch of its 2015 edition. 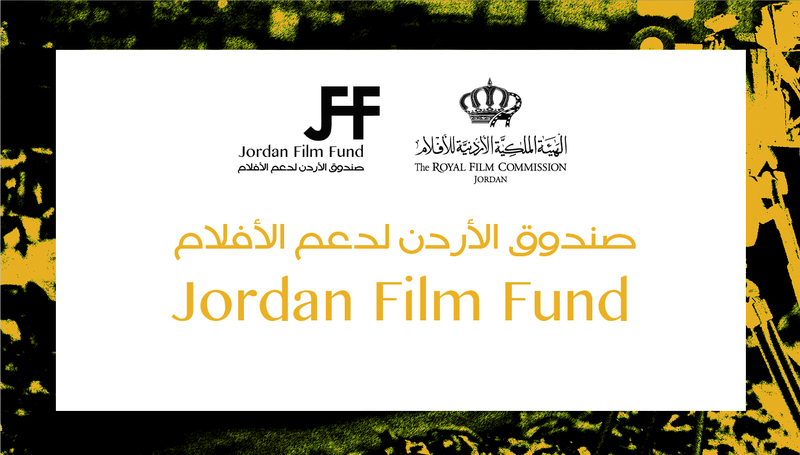 We highly recommend for everyone involved in the Jordanian film industry to be included in the 2015 production directory, which will be distributed in film festivals and markets all over the world. In addition to its international circulation, this directory is also sent to major international and regional producers. It will also be available online on the RFC’ website. The deadline for entries is on January 21, 2015. Med Film Factory is a specialized training program aimed at Arab producers and directors from the MENA (Middle East / North Africa) region. It was created in 2010 when a concept initiated by the Royal Film Commission– Jordan in partnership with Sud Ecriture – Tunisia and the Huston School of Film & Digital Media – Ireland materialized into a fully-developed training program with the financial support of the Euromed Audiovisual program of the European Union, which funded the program between 2011 and 2014. Med Film Factory is now suspended due to lack of funds and the non-renewal of the Euromed Audiovisual program that funded these past few years and we need your support to keep it going. Med Film Factory is the only Arab training program that is specifically designed to develop the skills of Arab producers and directors. It seeks to enhance the participants’ creative and professional skills as well as support them in the realization of their projects. 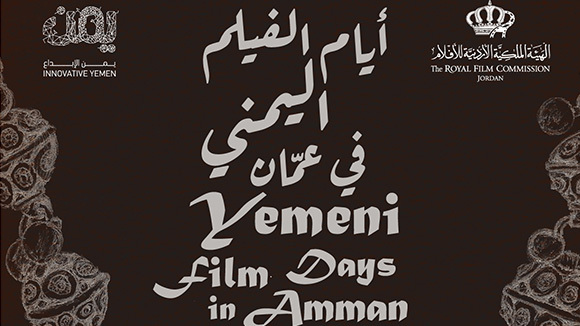 It also anticipates to contribute to the creation of collective connections within the Arab regional film industry, in particular to encourage the regional support of independent creative voices and films through all the stages of filmmaking that will help sustain the overall Mediterranean film industry. Three cycles into the project, Med Film Factory has matured into a beautifully crafted training program which has benefitted around 50 Arab producers and directors since its launch back in 2011. 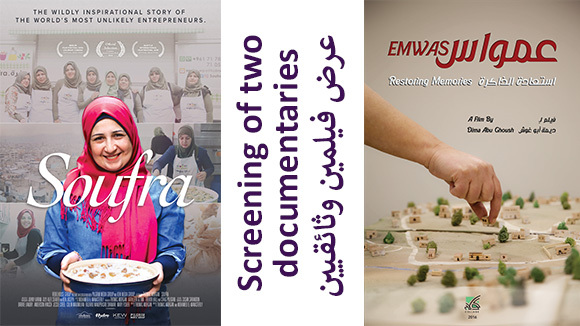 In addition, participants from all three cycles have individually developed success stories in the film industry thanks to their experience in Med Film Factory. The target of this crowd-funding campaign is set at 75,500 USD. All kinds of support – monetary contribution, in-kind assistance or simple word-of-mouth dissemination – are welcome. Beirut DC, in partnership with Fondation Liban Cinema (FLC), British Council and Screen Institute Beirut (SIB), are announcing the first edition of Beirut Coproduction Platform (BCP), taking place on March 13, 14 and 15, 2015 in parallel with Ayam Beirut Al Cinema’iya Film Festival. This three-day event is designed to bring together between 12 and 15 Arab new independent film projects to a selected group of Arab and international industry professionals with the aim to encourage co-productions and collaborations as well as professional expertise. Experts are from the fields of production, sales, financing, distribution and funding. The deadline for submissions is on January 31, 2015. Submissions for film and interactive projects for Sheffield Doc/Fest 2015 are now open. 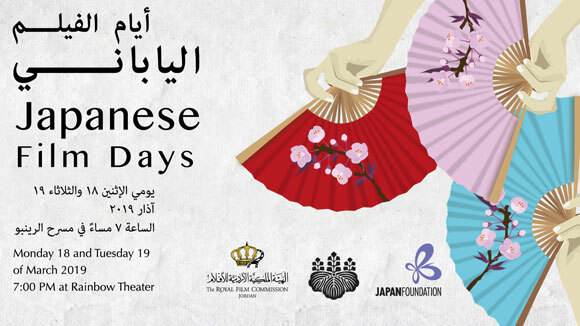 The festival is taking place from June 5th until June 10th, 2015. Sheffield Doc/Fest is the biggest documentary event in the UK, annually screening over 150 films from around the world. If you want to launch your new documentary, this is your chance. The film programme welcomes all varieties and styles of filmmaking. From vérité to observational, from experimental to the straight-interview docs. Doc/Fest and its audience are interested in all. Doc/Fest also welcomes new films from the cross-platform/cross media world with Interactive at Sheffield and awards that honour the best digital works. The open call for session ideas for the Sheffield Doc/ Fest 2015 is now open. With over 100 sessions, 332 speakers and 22 countries represented, the 2014 Conference Programme was a hot bed of discussion and debate encompassing a wide range of issues faced in the documentary industry. The sessions programme that makes up the Industry Conference within the Festival comes together after many months of consultation and planning. The deadline for submitting a films and interactive projects is on February 2nd, 2015. The deadline for submitting session ideas is on January 18th, 2015. The Cimatheque – Alternative Film Centre in Cairo is currently looking for guest programmers interested in selecting films to be screened during Cimatheque’s first season. Cimatheque is committed to expanding the local audience for alternative cinema, and presenting different forms of cinematic expression. Its team is interested in welcoming diverse ideas for the screening programme, and working with creative individuals from various backgrounds to help enrich our space and its goals. Individuals whose proposals have been selected will work closely with Cimatheque’s team in the development of artistic content, as well as in the logistical set-up of the screenings. Cimatheque will provide a modest honorarium, in addition to covering the screening rights, accommodation, and other expenses incurred. Future programmers should bear in mind that they will work with Cimatheque’s team on securing screening rights and clearances, researching the technical requirements / formats available, subtitling information, developing written content for the brochures / flyers, setting-up the screening schedule, and presenting the films during the screenings. Cimatheque – Alternative Film Centre, believes in the diversity of cinema as an art form. It hopes to create a space in which the audience, film practitioners, critics, and other specialists can exchange ideas and experiences, and partake in an open discourse regarding film. Cimatheque’s services and programmes are to include film screenings, specialized workshops, a library, a moving image archive, and a lab for super 8mm and 16mm analogue film. A brief biography describing professional and educational background. Statement of interest that outlines a vision for the screening programme, including a list of films (no more than five) explaining the reasons behind their selection. The deadline for applications is on January 20th, 2015. The call for submissions for this year’s edition of the Tripoli Film Festival- Lebanon is now open, where it will take place from April 30th until May 6th, 2015. Enrich the local cultural environment in Tripoli. Promote the rich cultural heritage of Tripoli and its local artists. Brand and market Tripoli and its region as a highly promising touristic destination. A film submission, to be considered as an entry, must be sent by the Producer / Director (owner of the rights). Movies shot in Lebanon partially or completely should enclose to the entry form, a copy of the Lebanese “Sécurité Gérnérale” permit. Films must be subtitled in English. Films completion dates should not be earlier than June 2012. By sending the entry form and related material, the Producer / Director accepts to grant Tripoli Film Festival, by the person of its founder and Director Elias Jacques Khlat, the rights to print and screen publicly any material submitted to the festival and to use it for any promotional activity covering the festival. Submission of a film material and entry form does not guarantee screening during the festival. The submitter grants Tripoli Film Festival the rights to present his/her film to the press and to screen it during the festival days if selected. Entries material will not be returned. Entrants will be contacted only if selected for the festival. Tripoli Film Festival screens only films available on Blu Ray and in MOV format. The deadline for submissions is on February 14th, 2015. The call for participation for the selection of films for the Official competition and the Special sessions of the Tetouan International Mediterranean Film Festival is now open. The Tetouan International Mediterranean Film Festival has just launched its 21st Edition that will take place from March 28th until April 4th, 2015 in various projection halls of the Moroccan Villa. The call is open for films made in 2014 and 2015 promoting art and culture in the Mediterranean by Filmmakers coming from a Mediterranean country. Established in 1985 by a group of film-lovers of the “Association des Amis de Cinéma de Tétouan”, the festival was initially entitled “Rencontres Cinématographiques de Tétouan” (Tetouan Film Encounters). For each edition, the Festival hosts film professionals and it has gradually developed, becoming a major project. The deadline for Feature Films and Documentary Films is January 31st, 2015 and February 10th, 2015 for Short Films. Submissions for the San Diego Film Festival 2015 will opens on February 16th, 2015. The festival will take place from September 30th until October 4th, 2015 . The San Diego Film Festival is a premier showcase for U.S. and International feature, documentary and short films. The San Diego Film Festival’s mission is to support the growth and distribution of the motion picture arts through supporting filmmakers, through connections, education and exposure, bringing independent and noteworthy film to a diverse audience, and promote San Diego as a thriving film and arts community. It aims to present outstanding film and artists from around the world and strives to uncover and foster filmmaker talent through education, promote contacts between industry professionals to assist in the development of the motion picture industry in San Diego, and build a community that appreciates and understands the motion picture arts. With special focus and support for Women in Film and Native American projects, the festival hopes to cast the widest possible net to grow future generations of filmmakers and movie goers in San Diego and around the world. Feature films, short films, documentaries must have been completed after January 1, 2014. Feature films must not have had any commercial theatrical or television play in San Diego. All foreign films, features and short films in languages other than English must be subtitled in English to be considered for Festival presentation.